Is Your Home Healthy and Safe? Everyone expects their home to keep them safe from the outside world. But, keeping your home healthy and safe means more than a good meal on the table and locks on the doors. Create a healthy and safe indoor space by using these methods to prevent exposure to harmful elements. Municipalities treat tap water so it meets basic potable standards. However, chlorine and fluoride are added to municipal water and trace levels of harmful elements might still be found. You can combat these chemicals by installing a water filtration system in your home. A 4-stage reverse-osmosis filter is the most thorough type of home water filter that removes chlorine, lead, chemicals, fluoride, and bacteria. Colorless, odorless, radioactive radon gas can seep inside your home through cracks in the foundation. This gas is the second-leading cause of lung cancer in the United States. When the level exceeds the safe limit of 4 picocuries per liter (pCi/L) of air, remediation is necessary to vent the gas safely outside the home. Only certified radon mitigation specialists should install these systems. They can also locate and seal cracks in your home to keep the radon from seeping inside. If you spot or smell mold or are experiencing these symptoms at home, bring in a professional mold inspector to identify the problem and the best plan of action. Trying to remove mold yourself can disturb the spores and spread them through the air, so have a mold remediation company remove the mold to keep your home healthy and safe. A dehumidifier can prevent mold growth by reducing moisture levels in the air. Make sure exhaust fans and dryer vents discharge to the outside of your home. 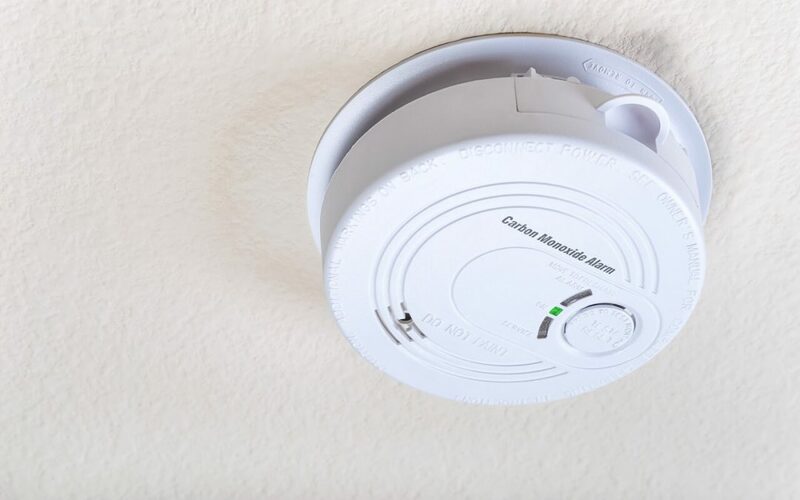 You can keep your loved ones protected from carbon monoxide by installing CO detectors. Carbon monoxide gas is a colorless and odorless by-product of appliances that burn natural gas, wood, oil, propane, or kerosene. Symptoms of CO poisoning include dizziness, nausea, shortness of breath, and blurry vision. Install CO detectors on every level of your home, with one in each sleeping area. Stale indoor air increases the amount of allergy-inducing mold spores, mites, pet dander, and dust circulating throughout your home. You can reduce allergens by vacuuming with a HEPA filter and washing bedding regularly, but the best way to improve indoor air quality is to invest in an air purifier to capture harmful pollutants. Air purifying systems can work using ionic, UV, carbon, ozone, or HEPA filtering technology. Research which air purifier would work best for your home’s needs. Assure Home Inspection provides services to help you keep your home healthy and safe. Contact us to schedule mold inspection and remediation services, radon testing and remediation, asbestos inspections, or any of our other home inspection services.